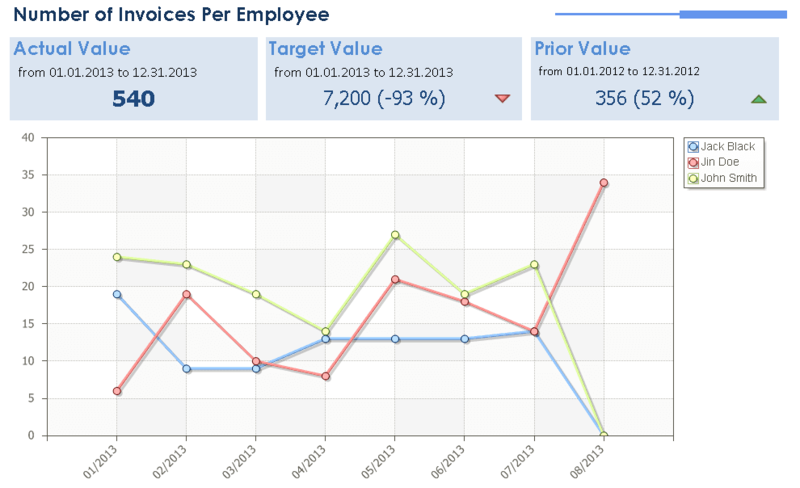 One of the most important aspects of a CRM is generating useful reports. Reporting is critical to helping management make better business decisions. Each grid in Tall Emu CRM represents a data source (eg, Companies, Contacts, Projects) with facilities to search, sort, and choosing columns. Results can be viewed on screen, exported to Excel or printed. This is an easy way to get quick, ad hoc information. Call overview dashboard. Click to enlarge. 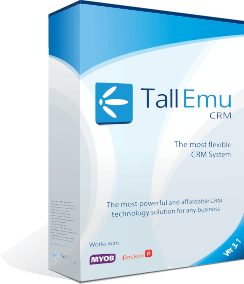 Tall Emu CRM includes built-in reports that provide useful business information. 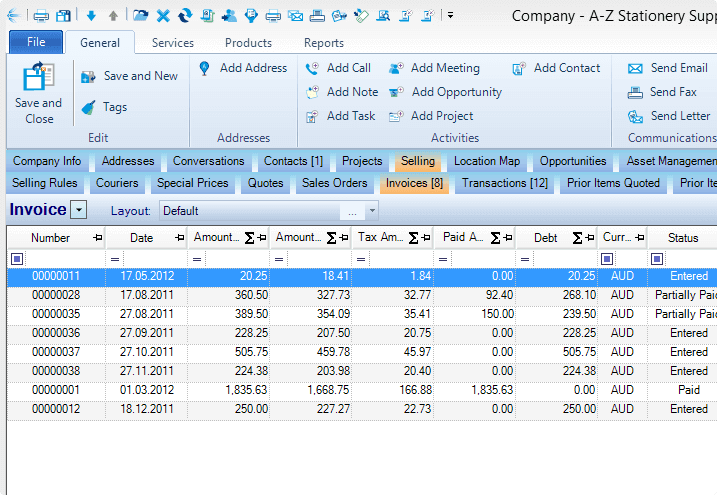 These aggregate data from various data sources and consist of list, cross table tables, diagrams and graphs. By measuring several performance KPIs and store measurement result data in a data warehouse structure, Tall Emu CRM provides the ability to create 1000’s of KPI reports which can be used in analyzing strategic plans and initiatives. Dashboards consist of such things as graphs, diagrams, gauges and indicators that can provide a quick and meaningful overview to critical aspects of the business.